Discussion in 'Server Discussion' started by Eroil, Apr 15, 2019 at 11:55 AM. Do you experience this chat lag as well? It started out as a small problem, very rarely the whole lobby would lag when someone said something in chat, annoying, but rare at least. Recently though, and I know I'm not the only one who's been experiencing this issue, like 75% of the time when someone says something, it lags for a good 15 seconds. Honestly this is getting unplayable. Not sure if this is just an EU thing, or SSM thing, I assume not though. Tell me if you've experienced this as well recently, maybe I'm wrong. Also there's no need to post your mandatory "report this on here blabla..." This is a huge issue and incredibly easy to notice, I'm pretty sure Mineplex already knows about it. I'm not experiencing this bug myself. This problem could be related to your internet connection or your connection to the server. If you suffer from high ping this might contribute to the lagging of the chat. 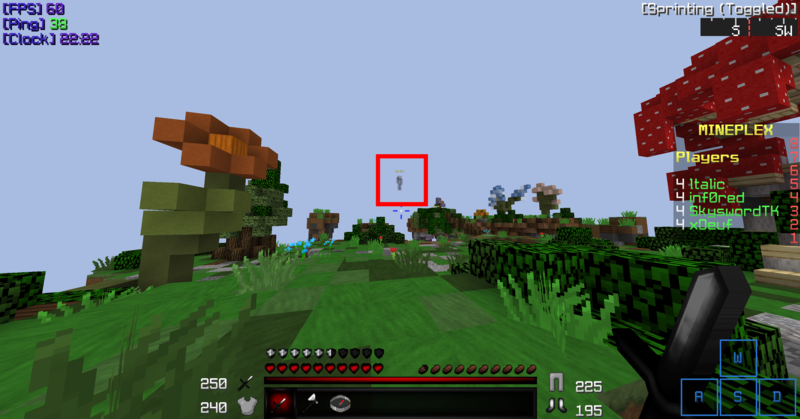 If you continue to have this issue and have stable ping I would suggest reporting this bug at https://www.mineplex.com/bugs. My chat has been continuously lagging whenever I say anything in chat, on Bedrock and Java. My connection is fast, and my computer has 6g of ram. It might not be an issue on US I'm not sure but it 100% exists in EU and isn't only my problem, all the people in my lobby experienced the same issue and so did other people I talked to. I play mostly on EU (as I'm from the UK) and I haven't had this issue on EU Minplex. Nor have I had this issue on US. Try to join EU and just say something, see if it does it. Also just checked and this seems that it isn't a problem on US. It depends on what area do you live whether you have a good ping or not. I don’t play on the EU server often because I mainly connect to the US server everyday. I believe that it could be your internet that isn’t strong enough to handle the EU server, I think. I suggest that you try to restart your internet router, a modem, and your computer at the same time. Ya, what you're experiencing could be Mineplex's fault, but I highly doubt it. Just try restarting your internet. That's all I know that could help. Again, this ISN'T a normal lag issue, and it's not something only I've been experiencing. When the chat lag was happening me along with everyone in the lobby was having the same thing, I know this because people were asking that everyone will stop typing because of the lag it causes. Normal lag issues don't happen only when people are saying something, this is an issue on the server's side. @Jaekub play EU and say a bunch of things in chat, you'll probably experience it as well. I'll log on to the EU server here in a few minutes and I'll update my post with what happened. This is a server wide problem on EU. I just had a friend get banned because of this issue, too. It's the chat which lags the server, regardless of ping. I live in Switzerland and get fibre, gigabit internet connection. My average ping is about 10-30, nearing the higher end of that spectrum at night, with up to 40 on the weekends or vacation times. The first two images show my ping around the 30's. Relatively low. I'm playing on a WiFi connection so it may fluctuate, but will never go over 100 - and even then, that is nowhere NEAR enough for a lag spike of such magnitude - meaning that my internet is stable and the connection is good. Yet, as we can see, my anti KB player (marked red), is about 25-30 blocks away from me i.e. I'm stuck in a lag-spike. The second image shows the same. 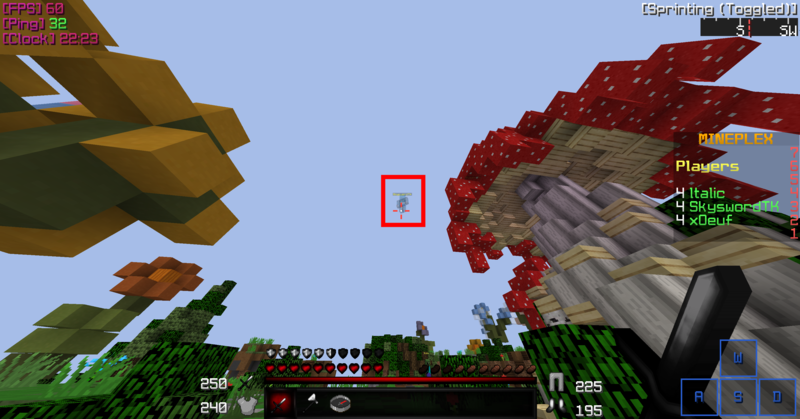 The final image, shows me flying in the map because I'm in a lag spike, even though my ping is, again, low. This is because of the chat-lag occurring while I was in a double jump, which meant that I stayed in the air (not hacking or gaining an advantage, just showing that I am lagging - I'm on LabyModV3). The issue is not at all connected to ping, it's server-wide and affects everyone on EU. This same issue was found mid-2018 and subsided after about two months. Using any form of chat can randomly cause it, and we get around 1-2 lag spikes every 5 minutes, making games almost unplayable. I've had two people get kicked by GWEN mid game and my friend got banned today, which makes this a problem. It's really frustrating when you just want to have a good time with friends on your favorite server, but you cannot do so because you have to worry about getting banned every minute because of this issue. TL;DR - Not ping related, chat causes lag. I hope I did not come off as aggressive - that was not the intent, this issue is just bothering me a lot and most of us on EU literally can't/won't play because of it. After logging on to EU, I can confirm that this is an issue. I suggest creating a bug report on this and explaining that this happens to everyone. I have checked the EU server earlier ago, @Eroil @Jaekub and @xOeuf - I probably never had seen this situation before after I made a quick investigation. Maybe it could be a bug that cause the chat having issues. If you believe that it is a bug in the EU server, you will need to file a bug report at https://www.mineplex.com/bugs here. The QA may try to help you to solve the issues for the EU server. I'll lock this thread as the questions have been answered. If you have any more questions, you may PM me. xOeuf and Jaekub like this.